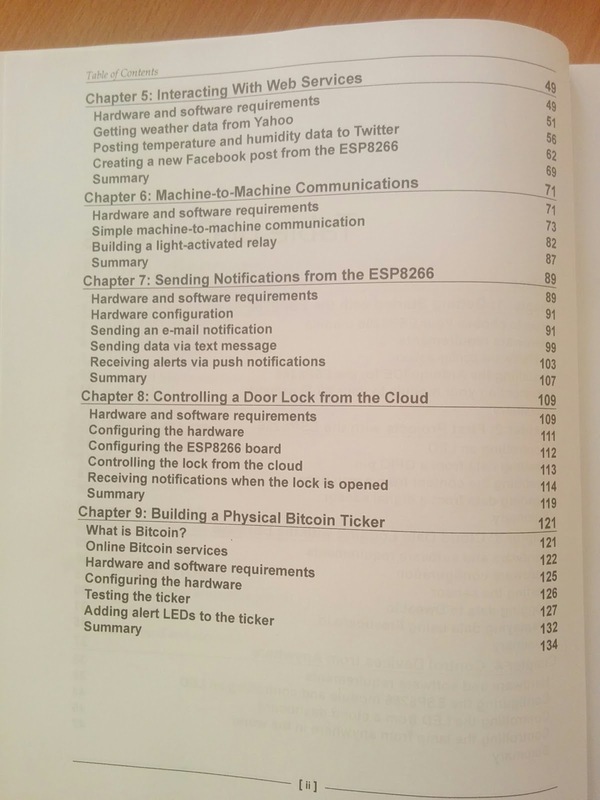 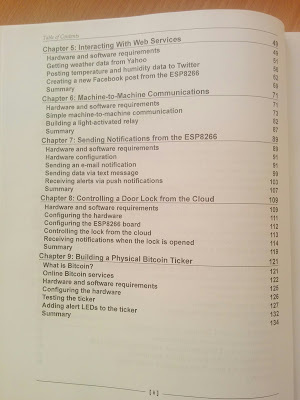 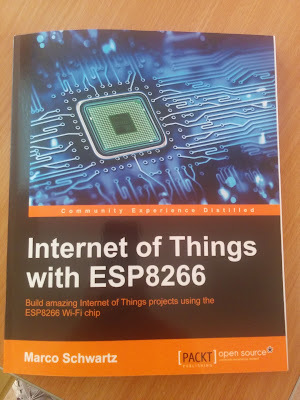 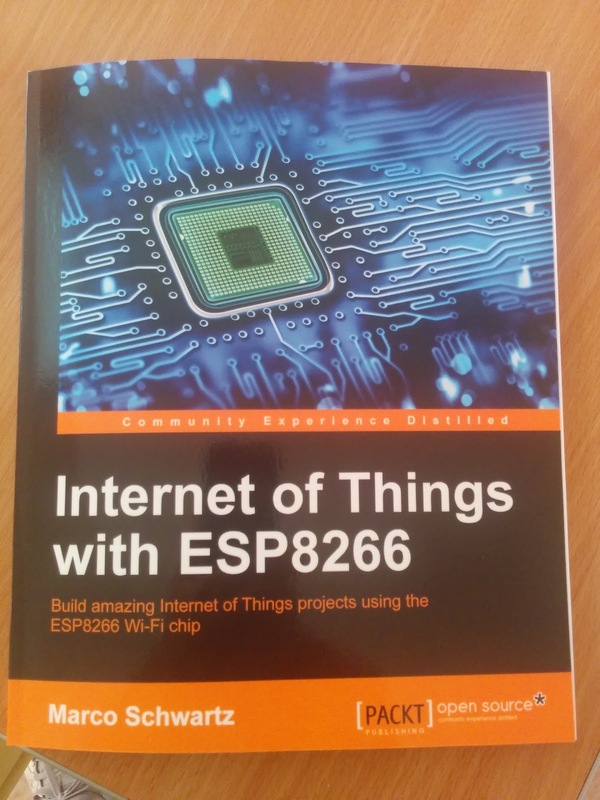 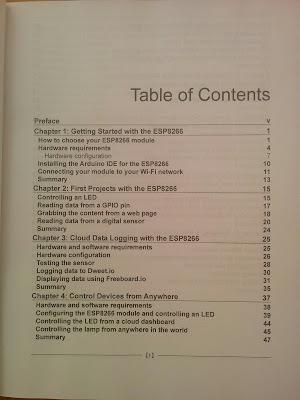 One thing that I did in the last two months was to collaborate with Packt Publishing to be technical supervisor for a book about the ESP8266. 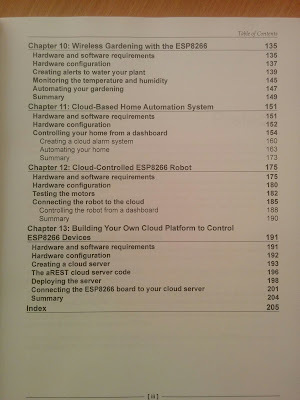 Book is written by Marco Schwartz and can be purchased from Amazon. 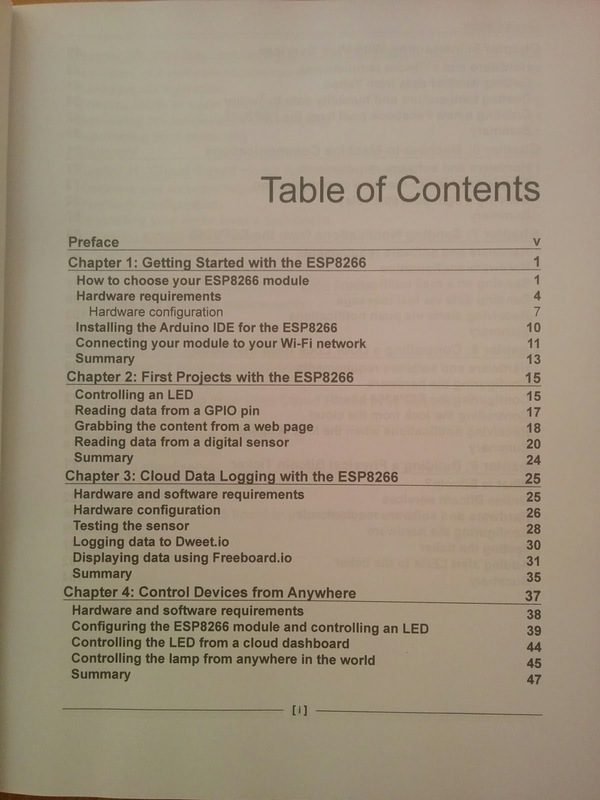 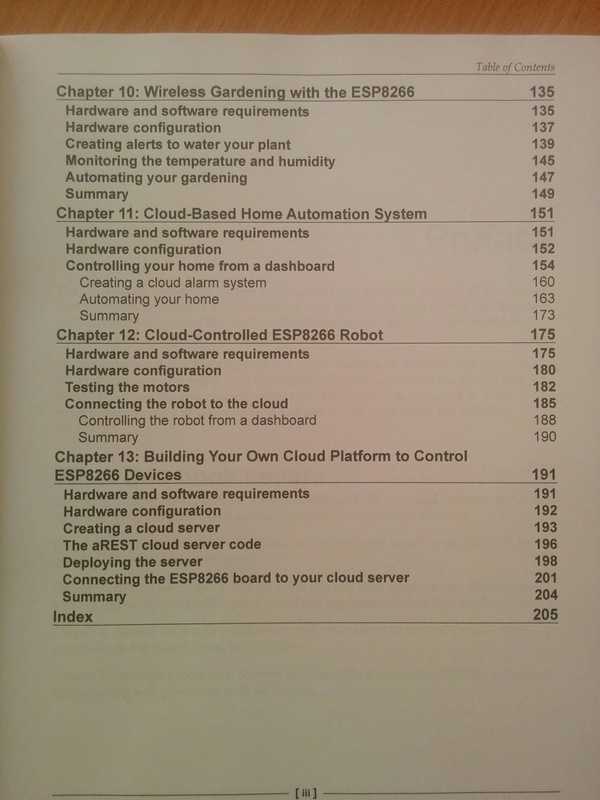 The summary of the book is in the following pictures.